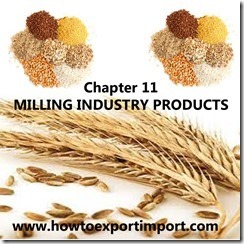 In this article, the Harmonized System codes (Harmonized Tariff System- HTS) for MILLING INDUSTRY PRODUCTS are mentioned which help you in exporting and importing of MILLING INDUSTRY PRODUCTS. These codes help exporters and importer all over world to know product classification code named differently in each country like Schedule B, ITC, HS, HTS, Tariff Code etc. 1106 flour & meal of dry, legum vegs, sago, fruit etc. bhrigu goyal : On 13 February 2015 As u know sir that india is one of the leading exporter in basmati as well as. Non basmati rice, my father is owner of rice mill now we want to expand our business but we dont know about the procedure to export.... i have read your articles they are quite interesting and attracting. But i want ask that how can i appoint an agent in foreign country can u help in that? Thanking you for posting that articles. Rishabh Jaiswal : On 02 July 2015 I am rishabh jaiswal from indore MP, it was great to read your articles at your website howtoexportimport. I would like to inform you that i have a business of wheat flour trading in entire south India. 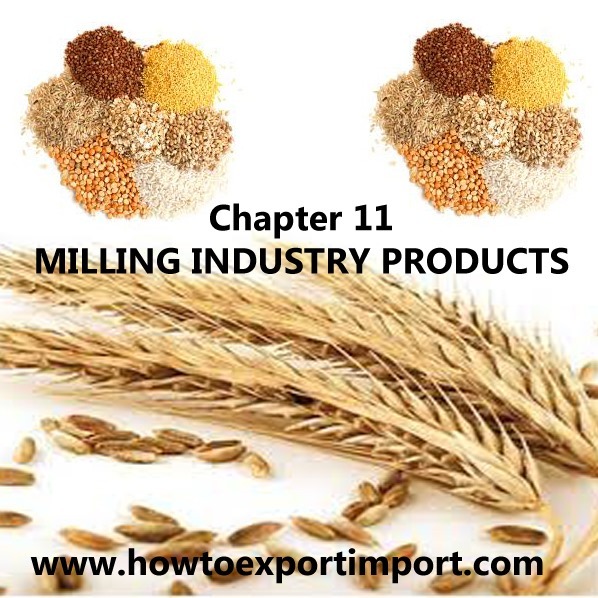 Since i am getting so many requirements of wheat flour from UAE. And i am also interested in doing business in UAE. I would be grateful if you will provide me some stuff so that i can begin with my exports at the earliest. I have already got an IEC and APEDA licence. Gayatri Sharma : On 18 August 2016 First of all, I would like to congratulate you on your endeavor of spreading valuable knowledge through your blog! I have just started considering export as a business with my husband and I have some doubts. I am hoping you would help me out and guide me right. I have contacted someone know who sells hand sanitizers and Ultrasound gels. He is our costumer (my father in law has a packaging business). He has offered to buy his products which we can further export as traders. So, now I have these few questions in mind. I did not find any articles related to the following. If they do exist, can you please send me the links or would be even better if you could please answer these doubts. 1. Should we use our own brand name on his product labels or let them be as they are? He himself exports his products too. Will it be a good idea if we change the brand name altogether and create our own website that would? display HS products but with our name? 2. Also, can we use HIS lab photos on our website? Will that be ethical as a trader when we are out there exporting? 3. Do we need a license for exporting his products, as a trader? 4. Is there a way to search for license details for a particular product on your website? (hand sanitizer in this case) and all export info related to that? It would be awesome if you could please take time out of your busy schedule and guide me right!